Baby boomers have been designated as especially at risk. The CDC has called for all people born between 1945 and 1965 to be tested for the hepatitis C virus. Finally, there are drugs to eradicate the hepatitis C virus that do not require use of the dreaded drugs we have used for many years – namely Interferon and/or Ribavirin. The U.S. Food and Drug Administration has approved Harvoni, a once-daily tablet to treat hepatitis C. Harvoni is a combination medication that includes the two drugs Sofosbuvir and Ledipasvir. Harvoni is manufactured by drug company Gilead. Harvoni is very expensive - it costs $95,000 for a 12-week course of treatment. But for many people it is worth it as Harvoni has been proven to cure hepatitis C in a majority of people with genotype 1 hepatitis C within 12 weeks. The drug Sofosbuvir cannot be used alone, and until Ledipasvir was developed and released, Sofosbuvir still had to be used with interferon-ribavirin or another relatively new drug called Olysio. Before Sovaldi and other recently approved drugs, cure rates from interferon-ribavirin combination were poor – indeed only 30 to 50 percent of those with genotype 1 hepatitis C virus were cured. The side effects of interferon-ribavirin included anemia, extreme fatigue, severe depression, nausea, diarrhea, itchy skin rashes, insomnia and were debilitating. There are access issues with Harvoni — pharmacy benefit managers and Medicaid programs can assess patients as not being ill enough for the medication which is demoralizing for many with genotype 1 hepatitis C. Some patients complain of delays in getting through the approval process to receive these drugs. Many gastroenterologists and hepatologists have expressed frustration about patients being told they must try less expensive, more toxic and less effective medications before being approved for Harvoni. This is putting cost concerns before the wellbeing of patients. We cannot afford to wait until cirrhosis develops. Military veteran John Shutts, 56, fits the bill as an American at risk for hepatitis C. A baby boomer, he tested positive more than 12 years ago after spotting yellow streaks in his eyes and experiencing chronic fatigue. Veterans in general have been identified as at higher risk than most people. Shutts underwent the standard pre-Sovaldi treatment, interferon and ribavirin, but found it unbearable and asked his doctor to stop after 14 months. “I told them, ‘This is enough,'” he said. Although treatment had reduced his viral load to 500,000, it has now rebounded to 7 million, he said. He was denied access to Harvoni earlier this week but has filed an appeal. Good on him and I hope he is successful. He has health insurance with the federal government, and has been working for over 40 years. He deserves better treatment than this. Many patients in online patient communities for people with hepatitis C have already reported success obtaining Harvoni and have said they received a considerable amount of assistance, both financial and with obtaining approvals, through Gilead’s assistance program. The virus can recur years after a cure. 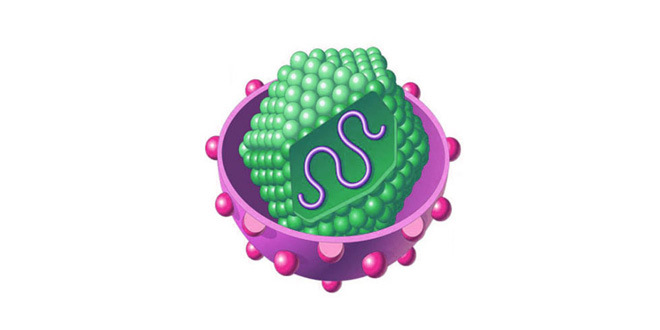 The virus develops resistance to these drugs (similar to the way that bacteria become resistant to antibiotic drugs). Even after Harvoni has produced a cure it is still important to take care of your liver and repair any damage to the liver cells that has been caused by the virus. We can also try to reduce scar tissue in the liver. Of all organs in the body, the liver is most able to repair and regenerate itself. Selenium benefits the immune system and reduces the ability of viruses to replicate. It also enhances glutathione production, which has antioxidant effects. Take 200mcg daily. Vitamin E in a dose of 1,000 IU daily. Vitamin E helps to reduce scar tissue formation. This is beneficial for anyone who is susceptible to developing cirrhosis. A good liver tonic such as Livatone Plus. This contains the herb milk thistle, plus B group vitamins and sulfur containing amino acids. Livatone Plus helps liver detoxification and the ingredients can protect liver cells from harmful toxins. N Acetyl Cysteine (NAC) capsules in a dose of 1800 to 2400mg daily. NAC is best taken half an hour before food or 2 hours after food. It is a precursor of the powerful detoxifier called glutathione. Start to drink raw juices made freshly with a juice extracting machine – good things to juice are ginger, parsley, mint, basil, citrus (orange, lime, lemon, grapefruit), carrot, cabbage, apple and kale. There are many juice recipes for a range of ailments in my book Raw Juices Can Save your Life. I have completed treatment with Harvoni Geno type 1 for 12 weeks. Virus no longer active.. I am now back on livertone plus my question is can I take a women's supplement containing black cohosh? Although the virus is no longer active you may still have some liver damage/cirrhosis which may mean your liver’s function may still be below par. Which women’s supplement are you contemplating taking? what supplements are ok with Harvoni, namely spirulina,curcumin vit e,selenium etc can we keep taking these whilst doing harvoni treatment for 3 months ? Yes you can continue what you're taking. Hi, Do you mean Harvoni? After you finish the Harvoni drug (generally 12 weeks), go back on the Livatone Plus as it helps to repair liver inflammation, which is still present even after the virus has gone. As far as green food tablets are concerned they wold supply chlorophyll but are not a formulated liver tonic. to optimize liver recovery take the Livatone Plus.